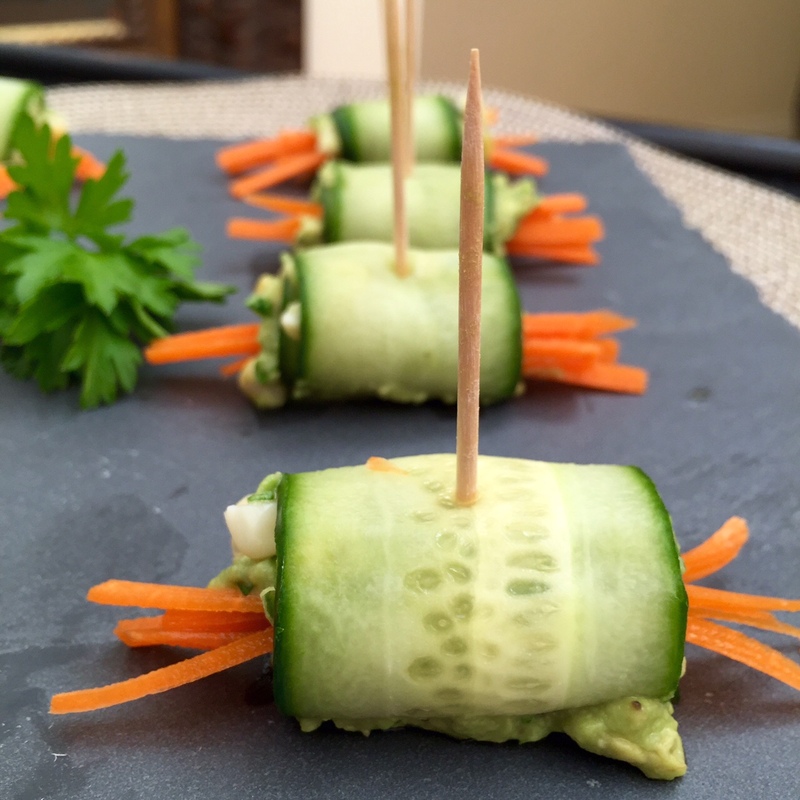 Cucumber is one of our favorite veggies here at DeuxFitFoodies. Refreshing for the summertime and a wonderful base for appetizers, those little guys are more versatile than a snuggie. 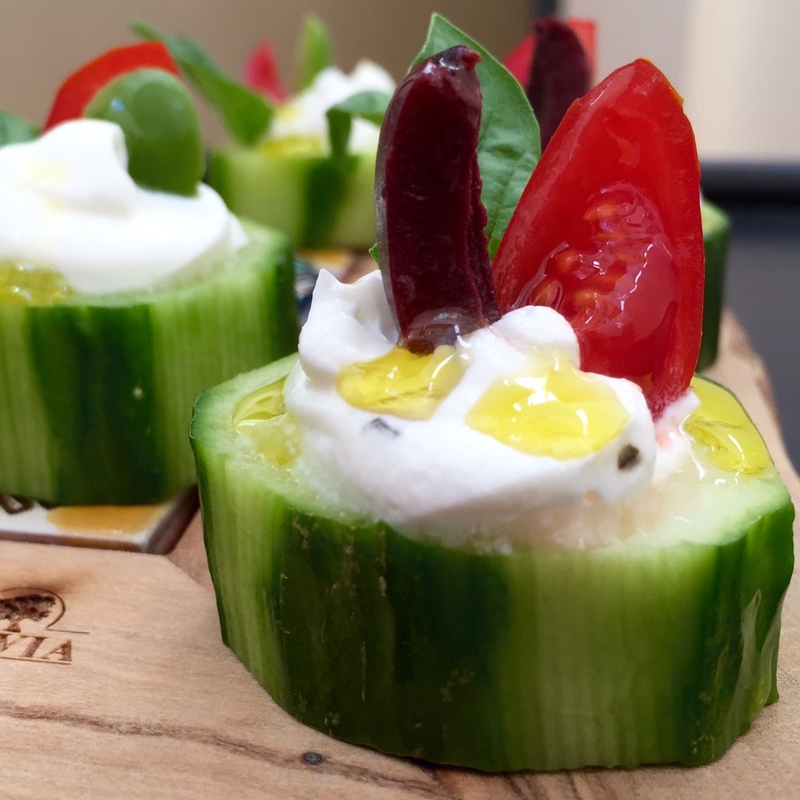 Given that most appetizers of our native land are less than light, these two cuke-based apps will be a breath of fresh air for you, your family & your guests. 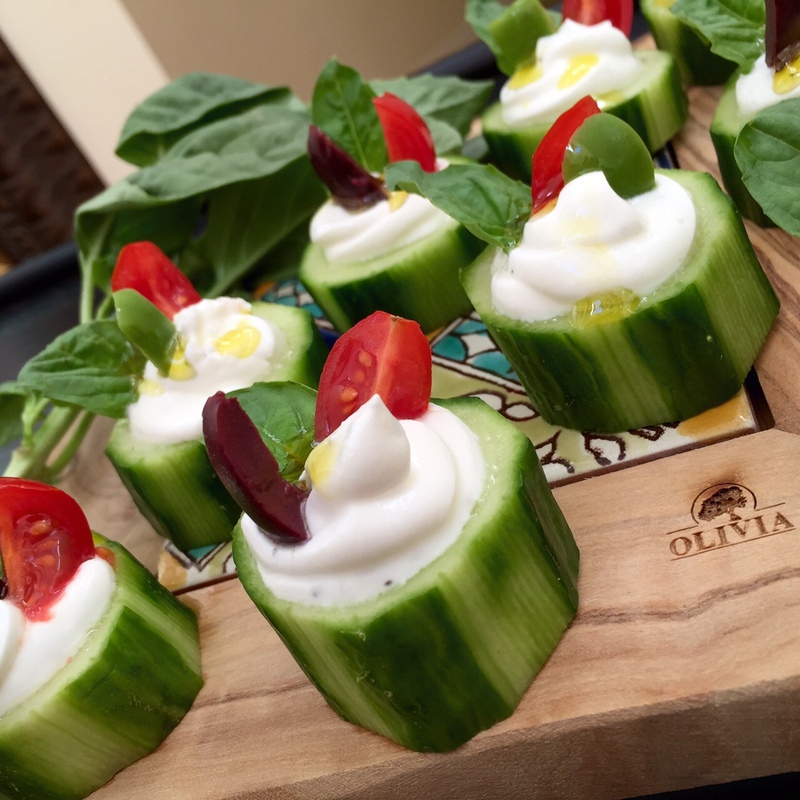 Labne, a Middle-Eastern version of cream cheese (that’s packed with probiotics) serves as a base for our first recipe while avocado crème is the star of the second finger food we have for you this week. Eat up & enjoy! Use a melon baller or spoon to scoop the inside off of part of each cucumber slice. Mix labne & dried mint together. Place mixture in a ziploc bag and cut off one corner to yield a poor mans pastry bag (that works even better than a real one)! Squeeze a glob of labne into each cucumber. Top with tomato, basil, and olive. Top off with a drizzle of olive oil & serve. Thinly slice english cucumber as pictured. This can be easily achieved using our favorite peeler in the world. Place cucumbers on paper towels to allow to dry. Mash avocado along with lime juice, salt, pepper, and cilantro. Assembly time! 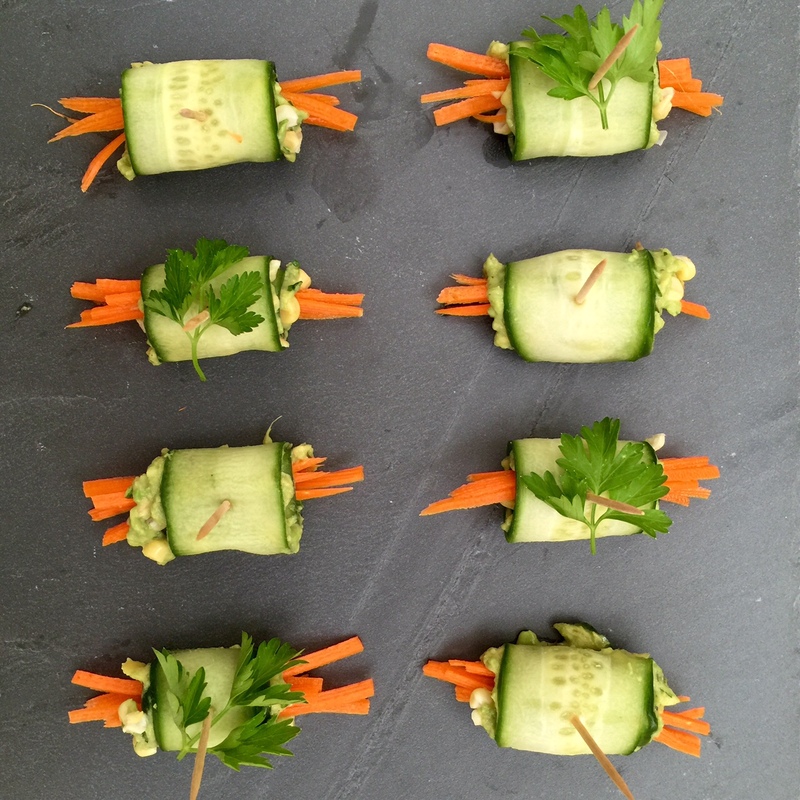 Lay cucumber down and add a layer of avocado-lime crème, followed by a sprinkle of corn & carrots. Grab on to one end of the cucumber and roll. Close with a toothpick & serve.